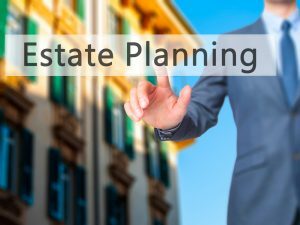 One common question that people present to their estate planning attorney is whether or not they can revoke or change the transfer on death deed in the future. This is one of the major benefits associated with the ToD deed because it can be changed at the later date, as it is not irrevocable. This is because the grantor has not transferred any interests in the real estate or given up any rights, so they maintain the eligibility to change it at any time. Remember that the action putting together a transfer on death deed basically adds a beneficiary to real estate. It is quite similar to the process of naming a payable on death beneficiary to your bank account. There is no actual interest in the real estate created, rather an expectation has been created. In order for a transfer on death deed to be effective and legally valid, it has to be recorded and put with the county recorder’s office directly. This also means that another item will have to be filed with the recorder’s office if the grantor changes his or her mind. This change typically comes in format of a new ToD deed. This is one of the downsides of using a ToD deed because it is not that simple to update. If you change your mind about a provision for payable on death beneficiaries on your savings account, you can visit the bank and be helped by a customer service representative. In order to change a transfer on death deed, however, you will most likely need to hire an attorney to ensure that it is filed properly. This can give you a great deal of peace of mind that the details have been managed effectively, but it can also create an additional obstacle or layer of frustration if you do need to update it.